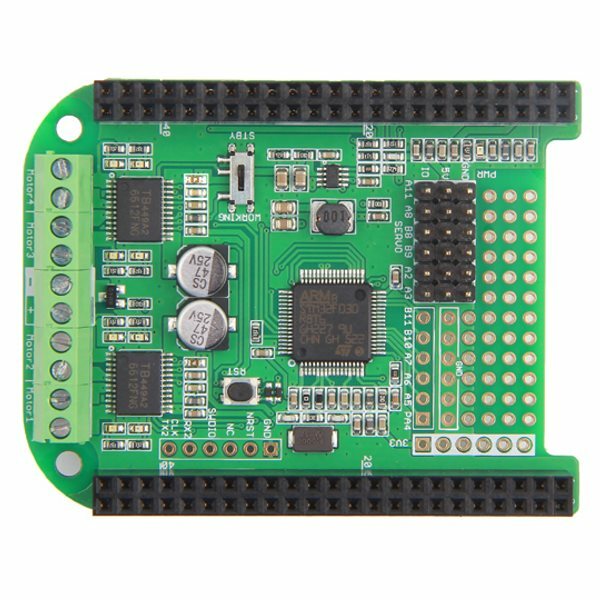 The BeagleBone Motor Bridge Cape is a quad motor driver board for use with BeagleBone microcontrollers. 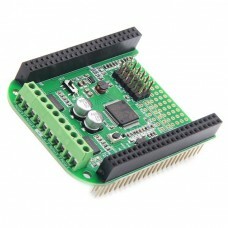 The stackable BeagleBone Motor Bridge Cape has two TB6612FNG dual H- Bridge motor drivers. 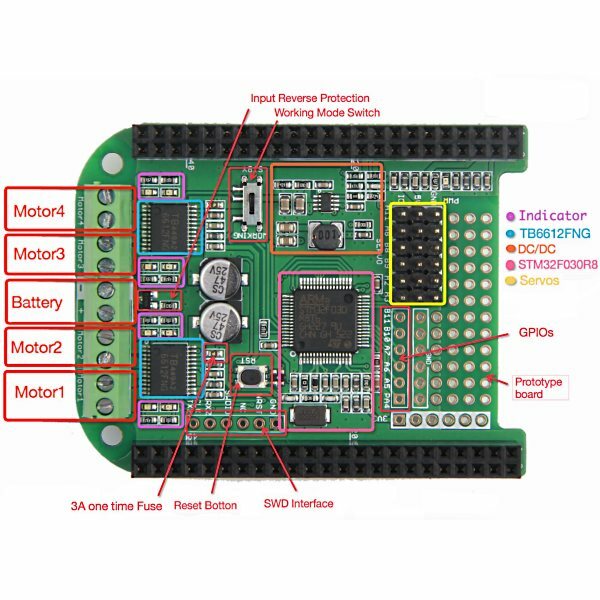 It can be used to control four brushed DC motors or two stepper motors. The driver supports motor voltages from 6V to 15V and can handle up to 1A of current draw per motor. It also has six servo control ports and six expansion I/O pins. All features are controlled by an onboard STM32F0 coprocessor that communicates with the BeagleBone via an I2C or UART serial interface. All BeagleBone GPIO pins are available via female headers.